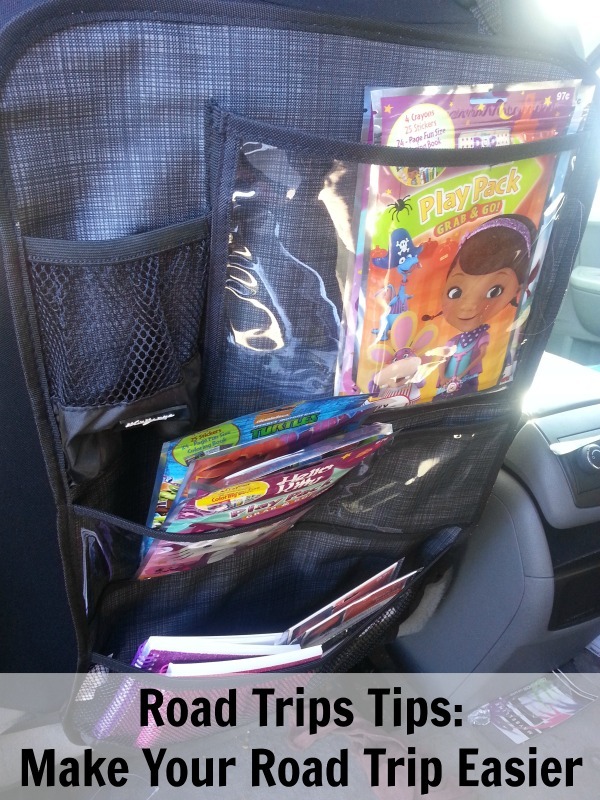 I have started using tips for our road trips easier. I use really like to make sure I use a road trip planner. There are a lot of planners around the internet but I have found that it just makes my life so much easier. you can check out these 2 to give you an idea. Entertainment: I make sure my kids are entertained. We play a lot of games like the License Plate game. This is when all the kids and I try to find all the different plates from different states. At the end, we see how many different states we have found and who found the furthest. We do scavenger hunts. I give each of the kids a list of simple things that I know they will see along the way. Then as they find them, they get to check it off their list. I have also had them take pictures of things on some trip. Sometimes, since my kids are a varied age group, 17 down to 4, I can not give the youngest the same things as the oldest, so they each get their own list. 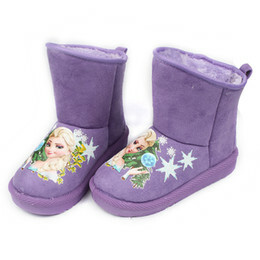 Toys: I carry a lot of toys around for them but usually things that are specific for the car. My kids have toys that stay in the car and then they bring extra things when they are going to be in the car for a while. The only problem with that is while I love that they bring toys to keep themselves entertained, I prefer that my car does not look like a toy box. I need a way to organize them. 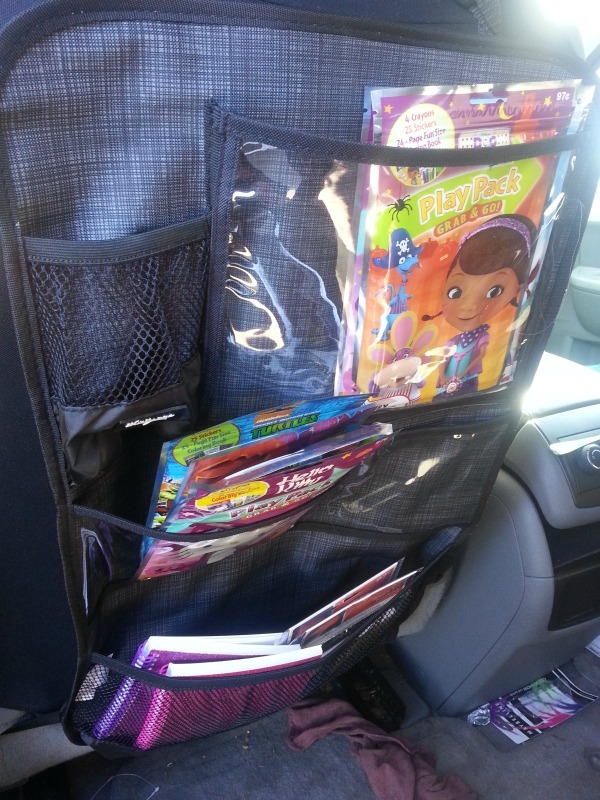 When Thirty-One sent me the Road Trip Kit 2, which has the Pack N’ Pull Caddy and Hang-Up Activity Organizer. I found the answer to my problem. The Hang-Up Activity Organizer has several pockets of different sizes so that it can hold a wide variety of toys. There is ever a space big enough to hold a tablet for the kids to be able to watch a movie. We currently have larger coloring books in it. 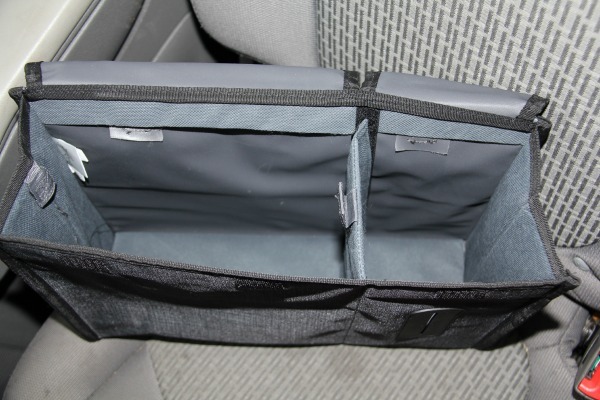 The second piece of the road trip set is the Hang-Up Activity Organizer. It has easy to use clips to hang over the seat. It has a section to hold tissues, which the kids are always needing. 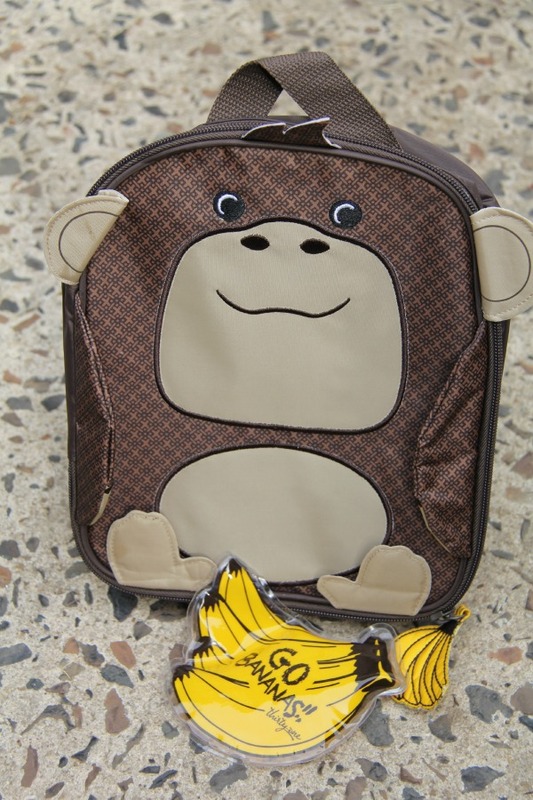 There is another larger pouch that can hold larger toys, books, or even snacks. Snacks: My kids need their food. And if I am not packing snacks, you can believe that I am spending a small fortune on snacks then. But I do not just want them eating a bunch of junk food the whole trip too. I try to sneak in the yummy stiff and the healthy things all at once. I have found that Trail Mix is a great way to keep the kids fed and happy without making a huge mess in my car. you can easily make your own by combining dried fruit with chocolate chips, pretzels, nuts, and granola . Sometimes I like to bring different types of yogurt, eggs, cheese and fruit, all of which do much better when it has something to keep it cool. Thirty-One sent me their very cool Chill-icious thermal carrier, Messy Monkey and it holds a good amount of food and comes with its own ice pack. Plus look how cute this monkey is. willow is all about the monkey. Kids are just naturally happy when they have something to hug. It can be something to play with, or a pillow to lay their heads on. Previous Post: « This Dog Gets Treats Like A Boss!